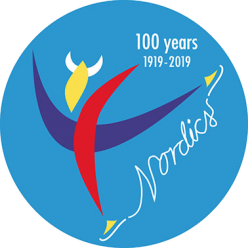 The Nordics and The Nordics Open are annual international figure skating competitions. The Nordics are open only to representatives of Denmark, Finland, Iceland, Norway and Sweden, while The Nordic Open is open to any representatives of any ISU member nation at the senior level only. The organizership rotates among the five nordic countries. 2019 the competitions take place in Sweden and the city Linköping. Welcome to join us in Linköping February 7-10 for amazing figure skating experiences!